Maybelline Eye Studio Brow Precise, an ultra precise pencil and triangle grooming brush makes it easy to fill gaps and keep unruly brows in place all day. li]Fill and define brows using small, light strokes following natural brow shape. Groom brow upward and outward with brush to blend colour and set brows. G894275 OCTYLDODECANOL, CANDELILLA CERA / CANDELILLA WAX, HYDROGENATED COCO-GLYCERIDES, RICINUS COMMUNIS OIL / CASTOR SEED OIL, POLYMETHYL METHACRYLATE, CERA ALBA / BEESWAX, C30-45 ALKYL DIMETHICONE, SILICA, TOCOPHERYL ACETATE, VP/HEXADECENE COPOLYMER, MYRISTYL MYRISTATE. [+/- MAYCONTAIN: MICA, CI 77491, CI 77492, CI 77499 / IRON OXIDES, CI 77891 / TITANIUM DIOXIDE, CI 77163 / BISMUTH OXYCHLORIDE] F. I. L. D55091/3. 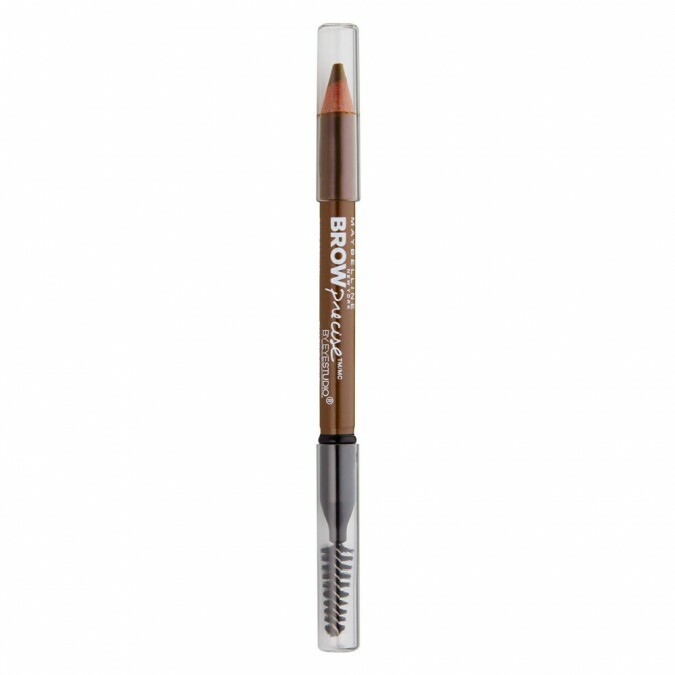 I use this for slightly filling and shaping, it is Great for little adjustments to create a perfect natural looking brow.